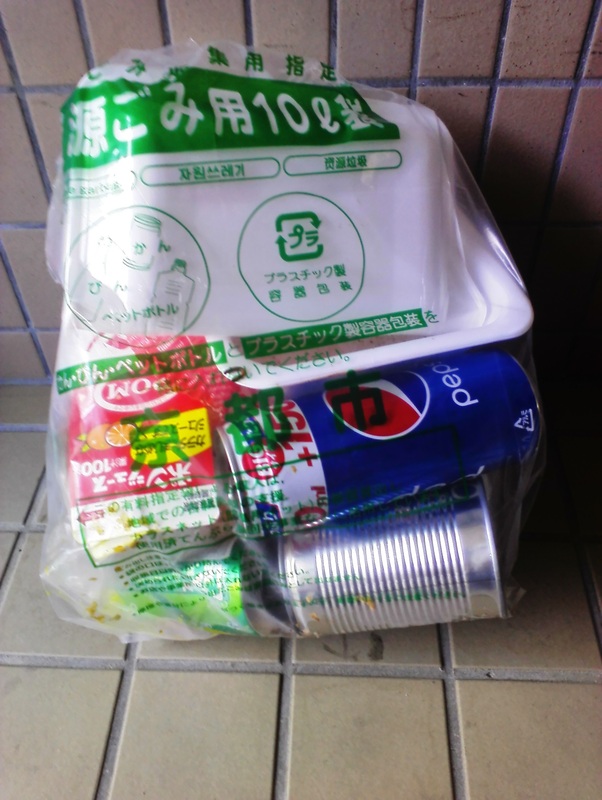 Please do NOT put your garbage into this box other than the garbage collection day! 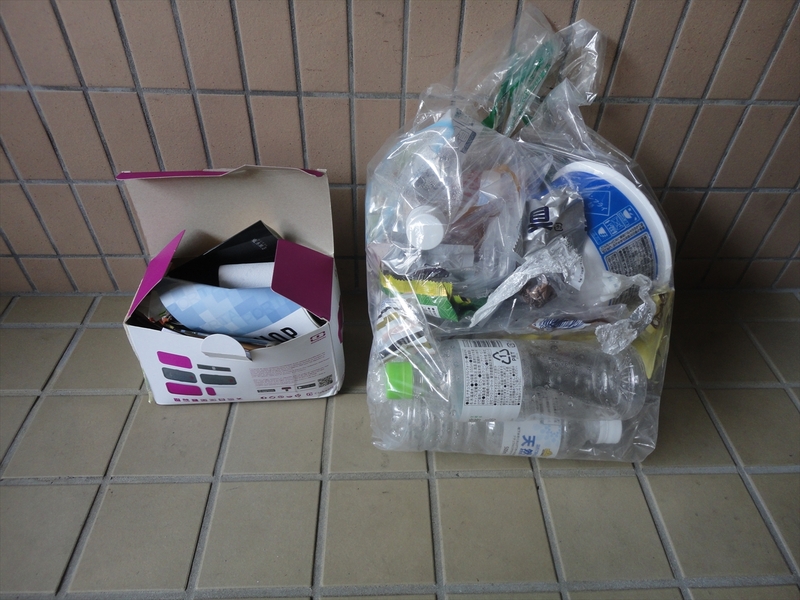 Please put the garbage into the box at entarance by a designated method and days. Please keep your garbage in your room by the garbage collection day. Because we don't have other space to keep your garbage until the garbage collection day. And if your garbage will be here, the trash box may be full and the smell of your garbage may spread through the whole building. Please put your burnable garbage (non-recyclable garbage) into the box on Tuesday morning and Friday morning(by 9:30 am). 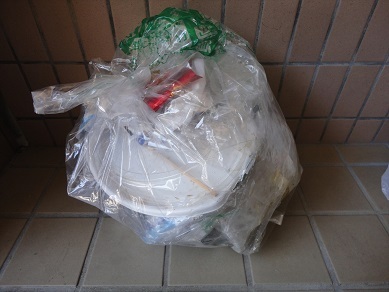 Please use the yellow bag which Kyoto city government appointed for the burnable garbage. In case of the garbage, foods which are damaged by crows and cats ,please pack them in a paper sack, and then please put it in a yellow bag of the Kyoto appointed. Please put "Plastic containers and Wrappings" on Monday. 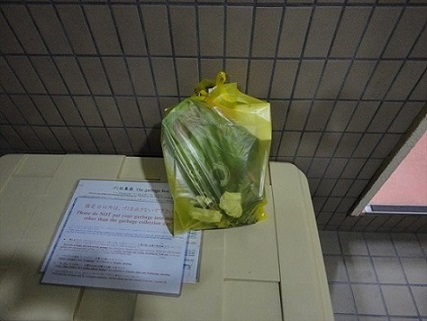 Please use the transparent plastic bags for the resources garbage which Kyoto city appointed after rinsed. Dirty containers that can't be rinsed clean should be handled as "Burnable garbage". Please put them into yellow bag which Kyoto city appointed . In case, you put your gargabe as resources garbage, please do NOT mix other garbage. 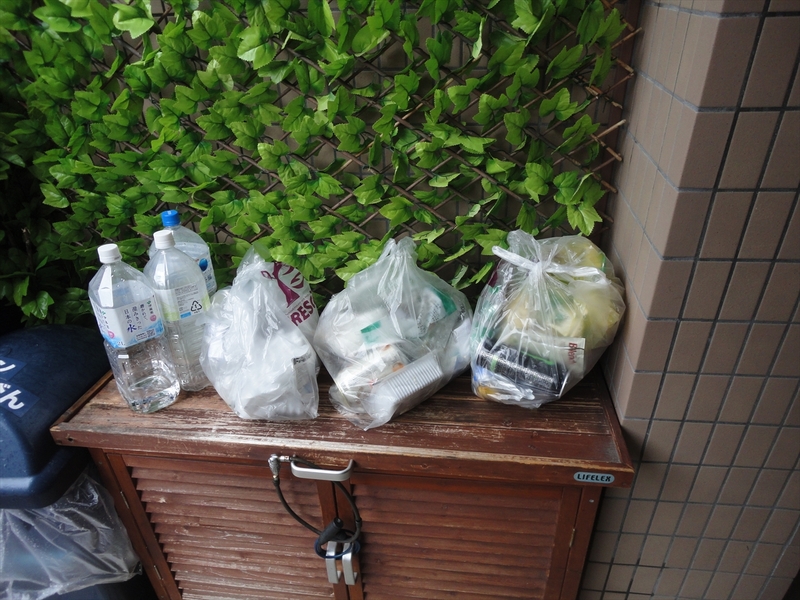 Please put "Cans, Glass bottles, PET bottles(plastic bottles)" into the box on Tuesday night and Wednesday morning. Please bind the newspaper and the corrugated cardboards and then please put them outside of this box. These garbage are against the rules.Please observe the rule of the getting out the garbage! These garbage are against the rules. 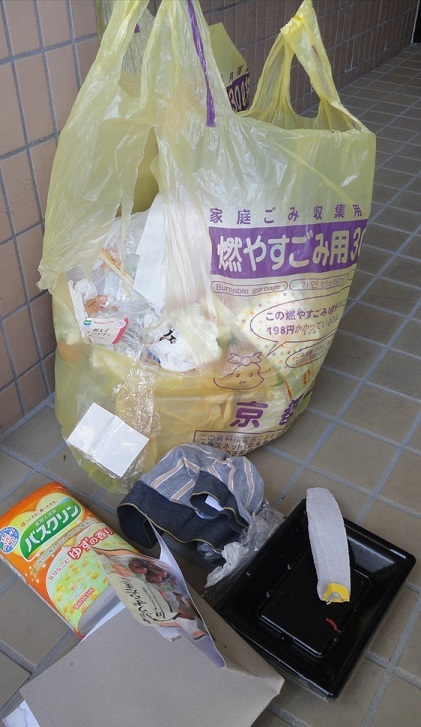 Please put these garbage into the yellow for "Burnable garbage" which designated by Kyoto city! 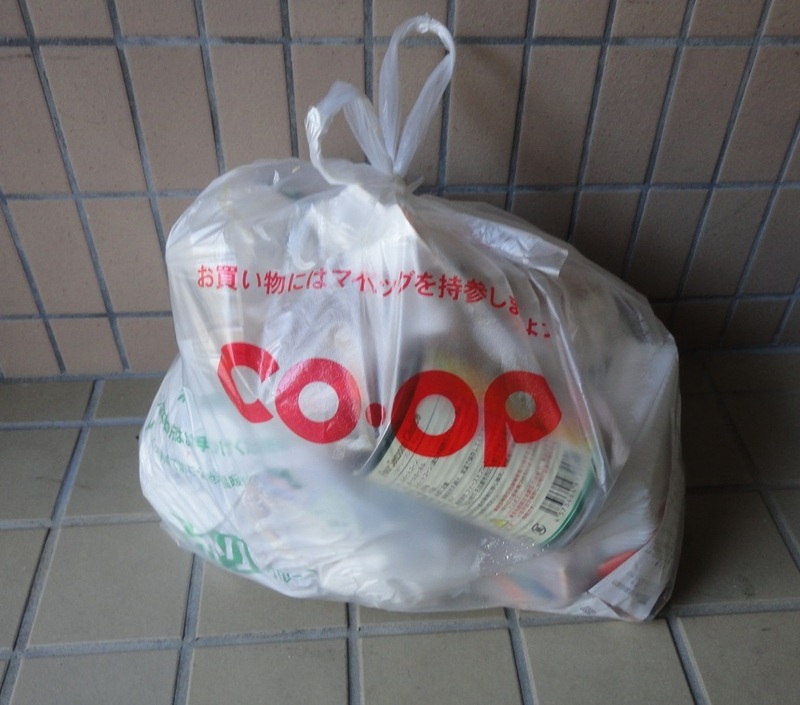 Please buy the garbage bags designated by Kyoto city in a supermarket or a convenience store when you used up garbaage bags. If you can't buy them by yourself, please contact to Usasan. 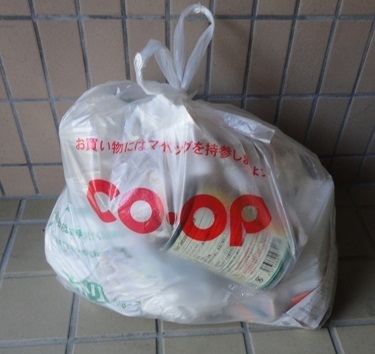 Food waste and recycling garbage are mixed in this bag. 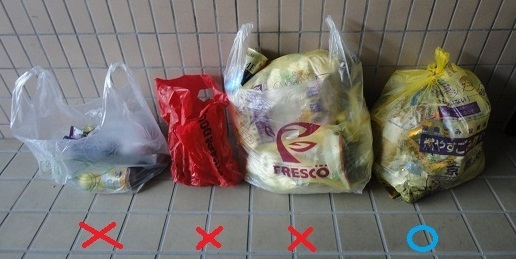 Please repack them to the yellow bag which Kyoto city government appointed, for the burnable garbage as soon as possible! 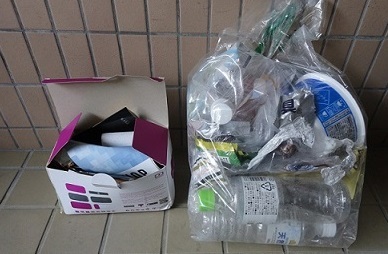 Please do NOT mix "Plastic containers and wrappings" and "Cans, glass bottles, PET bottles(plastic bottles)", if you want to put your garbage as resource garbage. And we have to clean up them if you want to recycle, if you want to put your garbage as resource garbage. 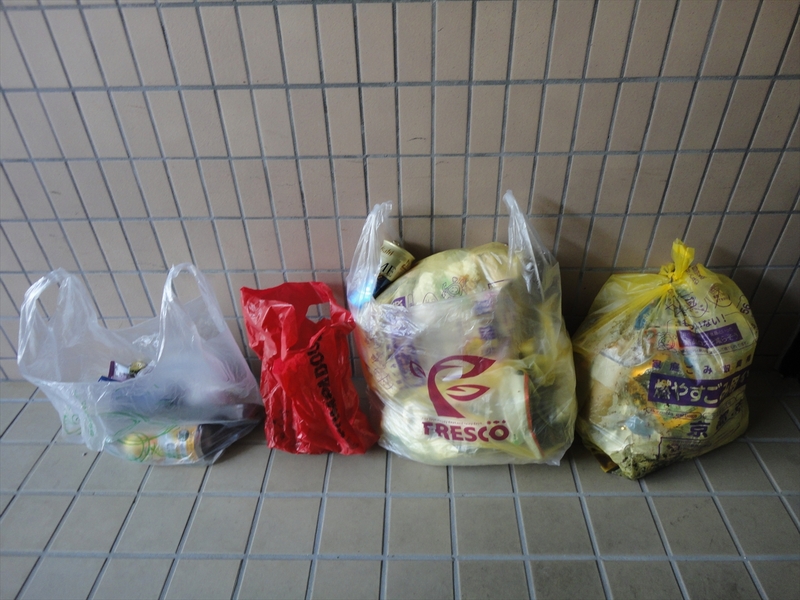 If we mistake the way to separate the resource garbage, the city government don't pick it up. Therefore we repacked it to the yellow bag for the burnable garbage which Kyoto city government appointed. 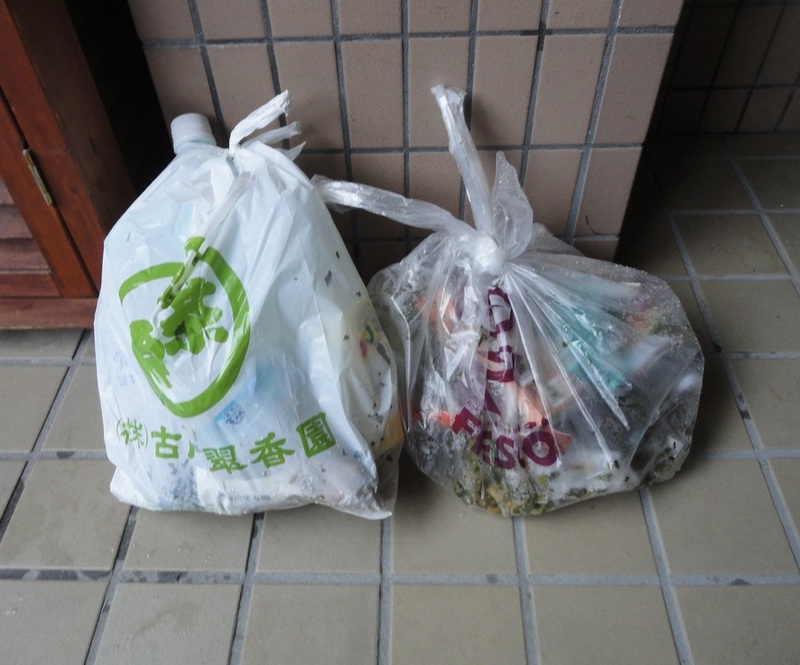 Please do NOT put your garbage other than the garbage collection day. 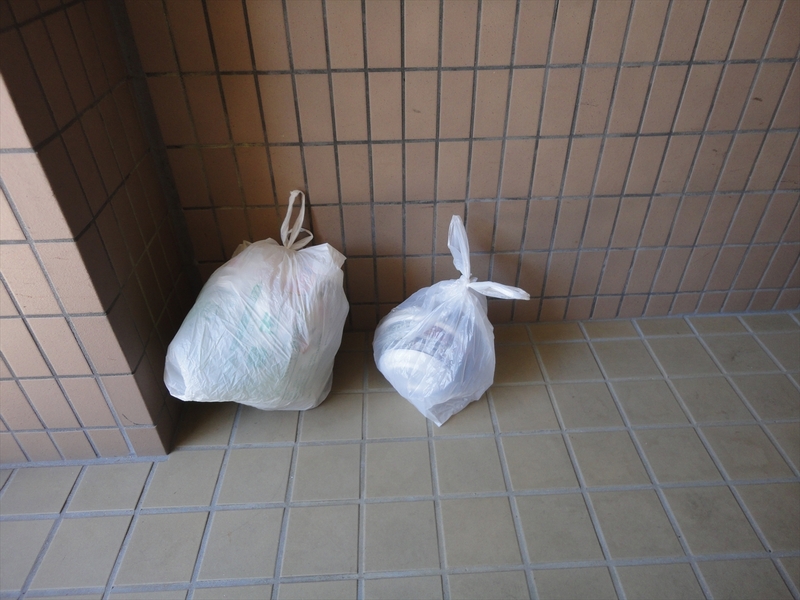 Please keep your garbage in your room by the garbage collection day. Because the smell of your garbage may spread through the whole building until the garbage collection day if your garbage will be here. When you put your garbage outside, your garbage, your garbage harms the sight of our apartment. And your garbage may be scattered around our entrances if your garbage is picked by crows. Garbage has been damaged by a crow! Probably the garbage was put on the street the day before or early in the morning. And the garbage was scattered on a road by crow. Even if you put the net on the garbage, sometimes a crow tear off the net. And, please don't put the garbage on the street in the night of the day before. It is most important. If this situation continues, we install a video camera and identify the person who performed getting out garbage. 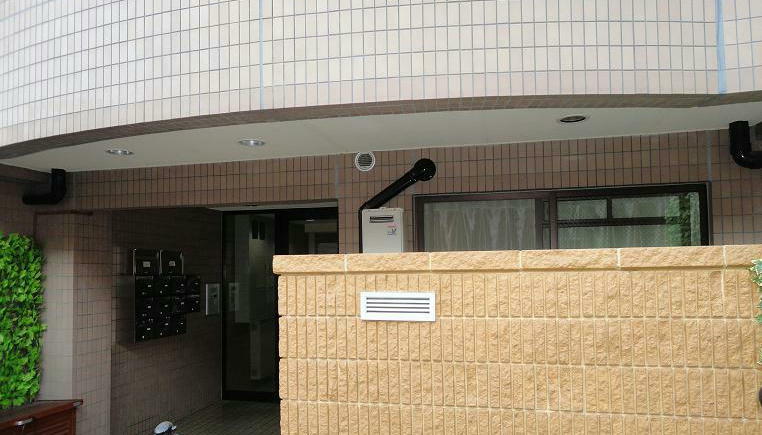 And we charge 10000 yen as extra cleaning fee. 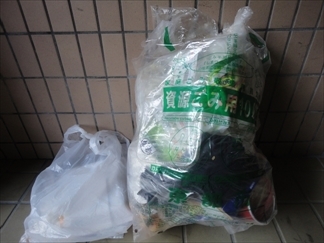 Please use the garbage bag which Kyoto city government appointed. And please put them into the garbage box! And you have to wash your garbage if you want to recycle. 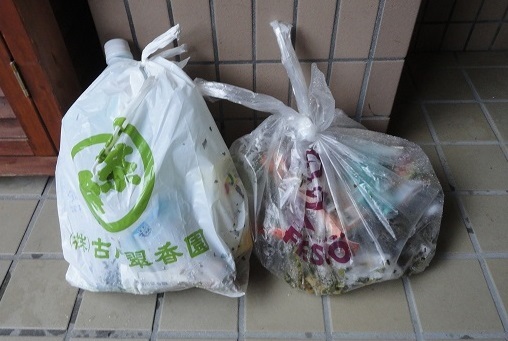 If you can't clean up your garbage, please put your garbage as "burnable garbage" on the garbage collection day!